The Atlanta Braves are relocating. As first reported by the Marietta Daily Journal, the Braves are leaving Turner Field, the downtown home of the Atlanta Braves since 1997. The team is leaving for a new stadium in Cobb County, an inner northside suburb, for the start of the 2017 MLB season. Prior to Turner Field, erected for the 1996 Olympic Games, the Braves played in Atlanta-Fulton County Stadium, a venue that once stood for decades in Turner Field’s current parking lot. The reason for the move is not complicated. Yes, this is a developing story, with a number of financial and logistical factors involved (the Braves not having control over Turner Field’s surroundings; infrastructural repairs; a lease that was running out; the City of Atlanta not willing to put such a significant taxpayer burden in order to keep the team downtown), but none of those truly explains the reason for the Braves’ move. That answer lies in one map, which outlines the Braves’ 2012 ticket purchasers. The reason for moving is simple. The current location has certain issues that are insurmountable and will only become more problematic over the years. These fundamental issues involve how you, our fans, access Turner Field. There is a lack of consistent mass transportation, a lack of sufficient parking and a lack of direct access to interstates. Furthermore, the Braves do not have control over the development of our immediate surroundings. The news was shocking — everyone from fans to City Council members found out at the same time — but it’s hard to think of it as surprising. The Braves have a long history of symbolic ownership and influence beyond the city limits. Unlike the Falcons or the Hawks, there are Braves fans all over the country. From 1973 to 2007, Ted Turner’s “superstation” TBS aired Braves games nationally. 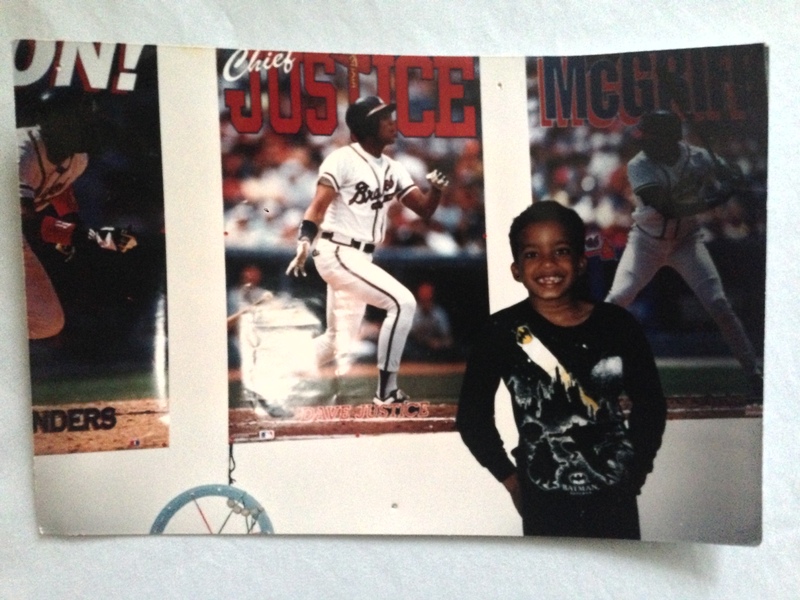 So if you lived somewhere that didn’t have a professional baseball team, there was a decent chance you might become a Braves fan, especially during the 1990s. And then there’s the South. Although they’ve long been based in Atlanta, the Braves have been an entire region’s team since 1966. So a stadium move from downtown Atlanta to Cobb County will likely not affect the way the region views the team. Truth be told, the only real loser in the relocation of the Atlanta Braves is Atlanta. The Braves have long not been Atlanta’s team. With today’s announcement, it became official. If you’re detecting bitterness in my tone, it isn’t by accident. I’m hurt, because I don’t take my home lightly, nor do I use its name in vain. This mentality existed when I grew up in the city. When my mother decided to move to the southside Atlanta suburbs during my teenage years, I became aligned with rebellion. That has only intensified as I’ve become a non-elected, non-approved city spokesman during my years in college through the present day. So the idea of an Atlanta sports team playing in a suburb makes me sick. Because I have no love for the suburbs. I care about cities, because that’s where people are forced to intermingle. I care about cities, because that’s where the culture is. And I care about my city above all, because it’s mine. Suburbs are where you go to buy multiple pairs of slacks. And learn how to parallel park on a Sunday afternoon. And covertly, in the case of Atlanta, suburbs are where you may go to either self-segregate or distance yourself from others. As someone who no longer lives in Atlanta but fully plans on returning, today is a tough day. Because, yet again, the city has been outfoxed by its northern counterparts. In the 1970s, MARTA, Atlanta’s directionally challenged, last-place-science-fair-project transportation system was expanding. Two Atlanta northside suburbs, Cobb and Gwinnett Counties, opted out of the expansion, thus denying the Authority the sales-tax revenue it sorely needed to become a real transportation alternative for an ever-growing city. The commonly held belief: With transit expansion comes an easy way for people to access the destination. All types of people. You know, city people. Some 40 years later, neither county has budged, but both have developed intra-county bus systems. And their goal of keeping people out has, in large part, worked. With today’s announcement, Cobb County’s holdout has seemingly paid off. Because they just got the Atlanta Braves. One of the defining traits of Atlanta is the way in which people, places, and things run away from each other. One of the most sprawling cities in the world achieves that honor, yes, because there are no geographical boundaries to stop growth, but also because people will go to great lengths to not live among undesirables. Regardless of the business deals behind the new stadium, moving the home of the Braves to a suburb just feels like a continuation of the story of demographic dynamics in Atlanta over the past half-century. So again, it’s shocking but not surprising. And again, I’m hurt. But it is crucial to know that my feelings don’t matter. They don’t matter because this is business. Why make the clearly defined fan base continue to travel when you have the agency to move to them? Why not move to a county that’s willing to pay $450 million of the project’s $672 million, just so a professional baseball team can move into its front yard? Why not utilize a county’s independent bus system, one that will service a significant chunk of the target audience? Really, why have anything to do with the city of Atlanta at all? Sure, it’ll still be a traffic zoo, but just a different zoo, one more convenient for those who have shown a dedication to the Braves. I don’t have a good rebuttal for this argument. And after repeatedly staring at the damning ticket-sales map, it’s clear to those of us who live within and/or care about the city that we partially brought this on ourselves. One downside of city living is occasionally taking the greatness of cities for granted. Like the fact that you have professional sports teams. You expect them to last forever, because that’s what’s supposed to happen. But sometimes, as Atlanta learned today, it’s possible to get outfoxed by a behind-the-scenes deal and end up taking a loss to a collection of strip malls and cul-de-sacs. And now we’re here. T-minus three years of Atlanta’s Atlanta Braves. This morning, in a greater fit of rage, I planned on ending this by saying that I hoped they took “Atlanta” out of the Braves’ name come 2017. I thought that, because I was mad, which is a byproduct of caring, something people from the city of Atlanta are commonly believed to not do. This afternoon, I saw what the mayor of Atlanta, Kasim Reed, had to say about the matter. The Atlanta Braves are one of the best baseball teams in America, and I wish them well. While the stance from his office comes from a political place, this genuinely echoes a sentiment that I believe will register with many of those who treat the City of Atlanta as the emotional center of their universe. We’ll still root for the team, but it just won’t be the same. It can’t be. And eventually, that will be fine. But it will always sting. Amid a day full of angry and bewildered phone calls, texts, and emails from a collection of friends, I was reminded that, throughout all of this, my perspective on this stadium move stems from the fact that I live in a bubble. A bubble where one’s city means something. A bubble where sprawl is the devil. A bubble where part of one’s life’s work is to help a city reverse its misfortune. A bubble where moving back is a requirement. A bubble where your parents can tell you about the night Hank hit no. 715. A bubble where no one around you is happy about this move. A bubble where you’re preparing for a third Braves stadium in your short lifetime. And a bubble that will continue to grow smaller with each passing year that Atlanta becomes less a city and more like a more amorphous mess. It hurts, but I’m proud that it hurts. And if nothing else, it’s a wake-up call. Because in a few years, the Atlanta that I care about will be down to two teams. So even though they don’t always make it easy, perhaps it’s time we start buying some Hawks and Falcons tickets before it’s too late.